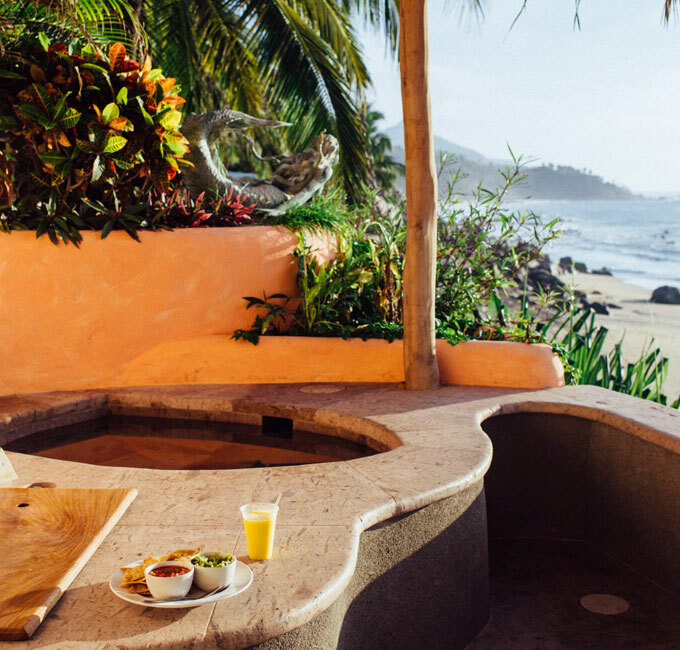 nestled among mountain boulders and tropical palms will soothe your spirits. 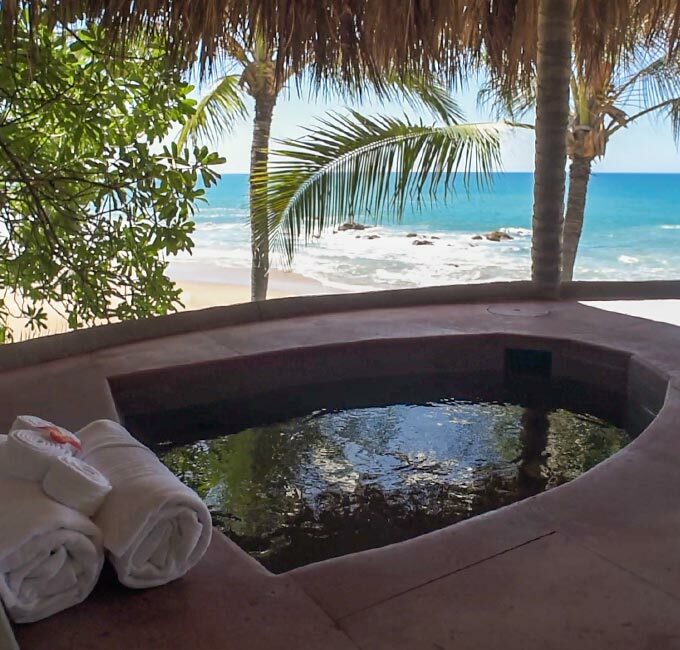 Watch for whales by day or spot constellations by night as you sit in the relaxing current of massaging water jets. 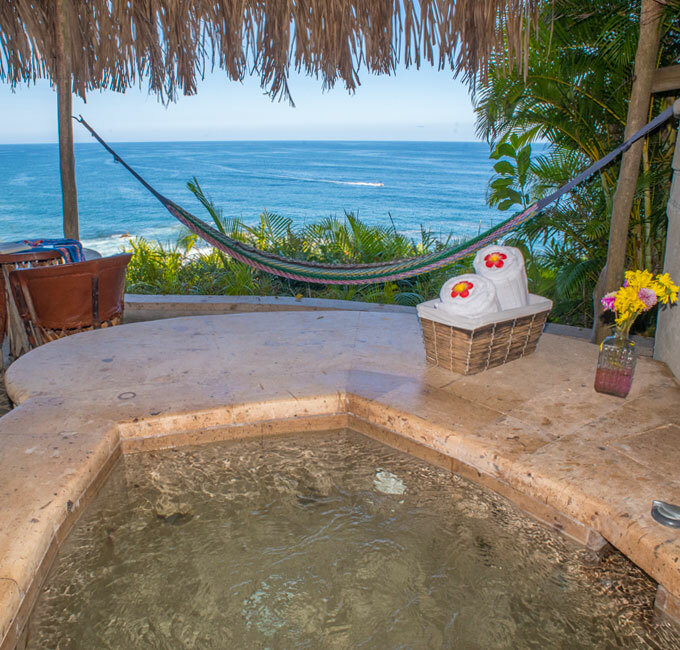 on the edge of fantasy, aloft in the seabirds flyway, overlooking an immense Pacific Ocean by day and a million-star canopy by night…a magical place to enjoy this super comfortable spa on the balcony deck of Luna Penthouse. 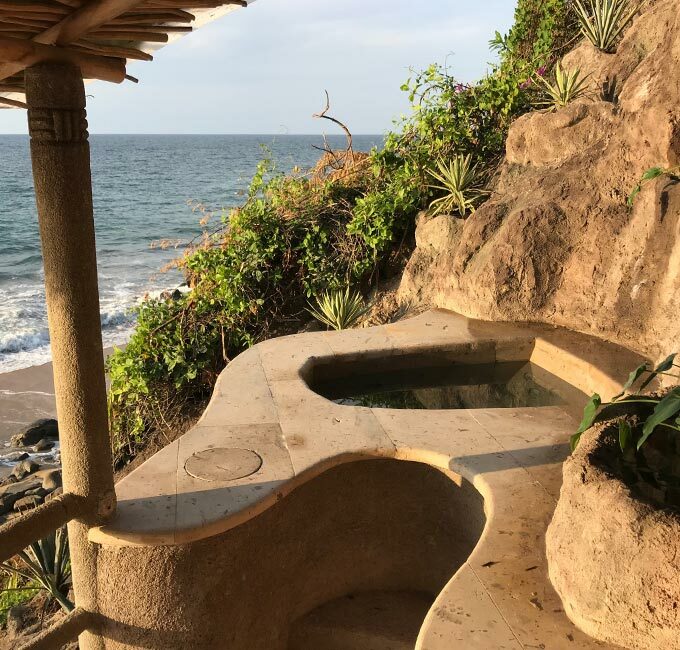 Try this intimate spa made of natural stone for an extraordinary ocean view in the privacy of your terrace deck in Ixchel Penthouse. 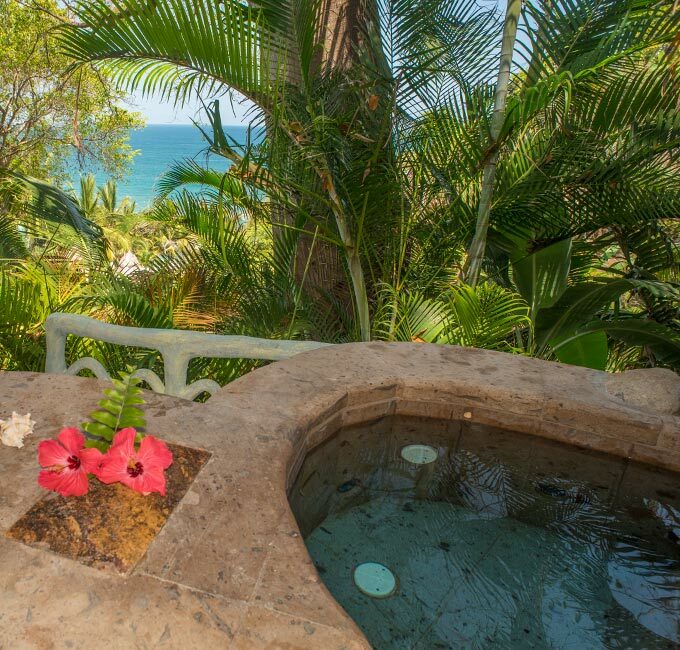 relax in your outdoor spa in complete privacy, marvel at the immense Pacific right below your feet, only a few steps away from the beach. 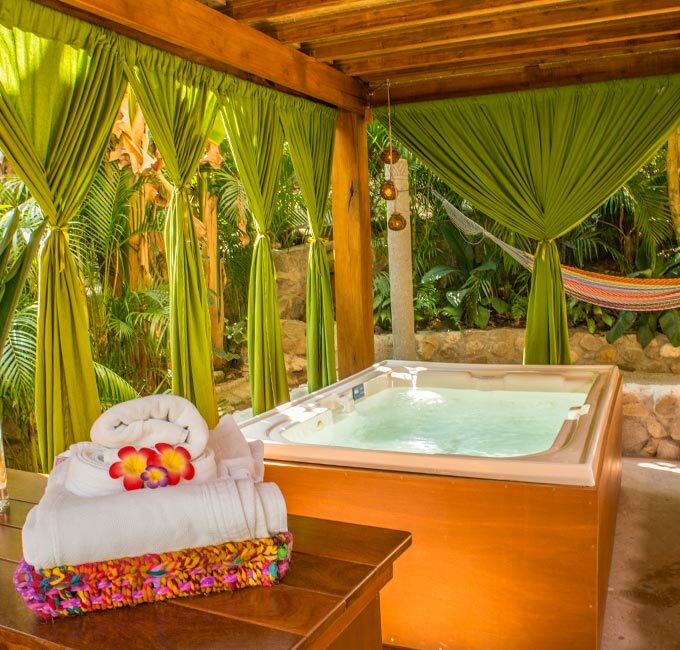 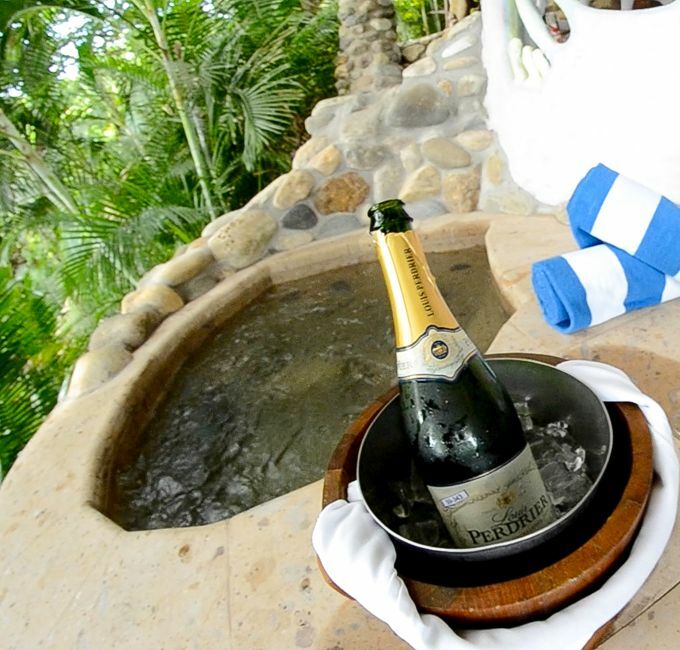 Relax in the warm water of this intimate jacuzzi nestled in pure jungle. 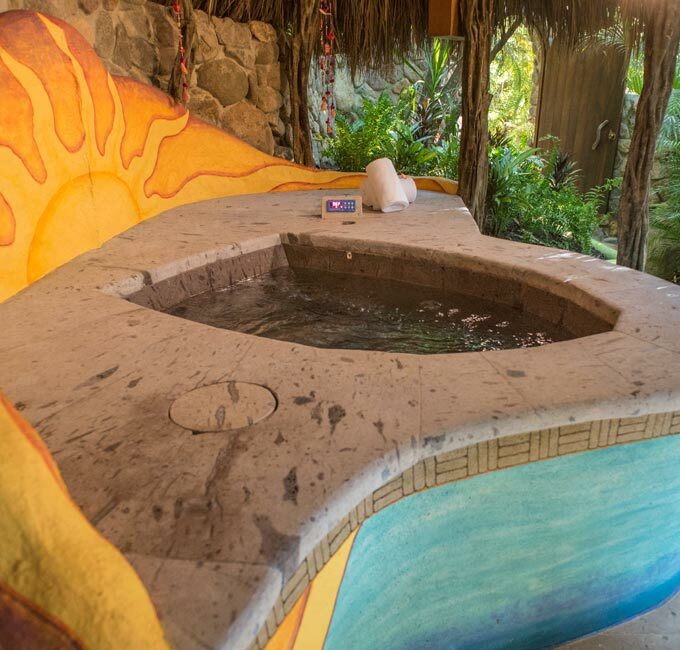 Mix a cool drink at your bar then cuddle in an intimate jacuzzi on your private deck. 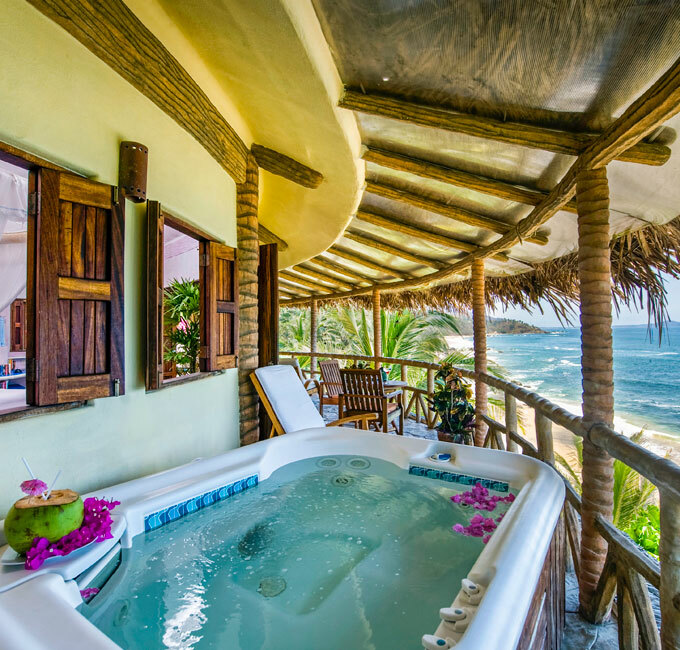 Let your mind slip over the horizon...or just look for whales and admire the rugged coastline. 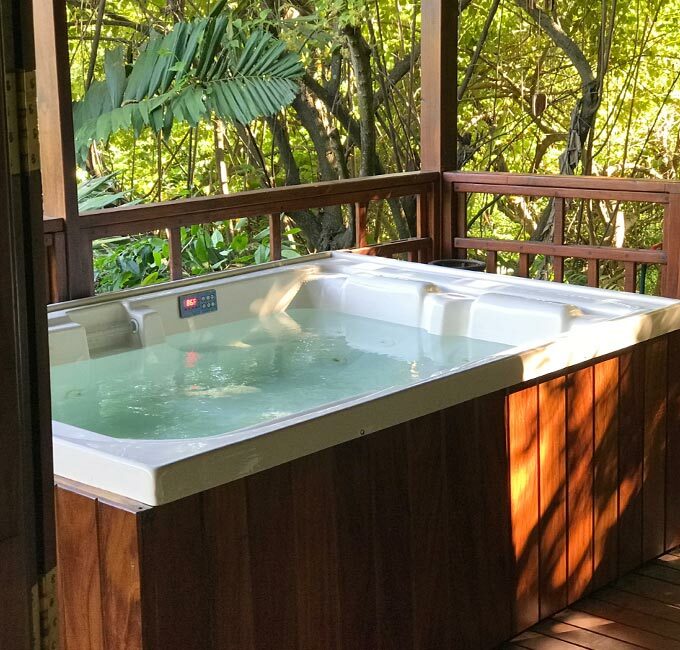 Tucked into the hillside, marvel at the wonders of nature while you indulge yourself in the warm water of this balcony spa. 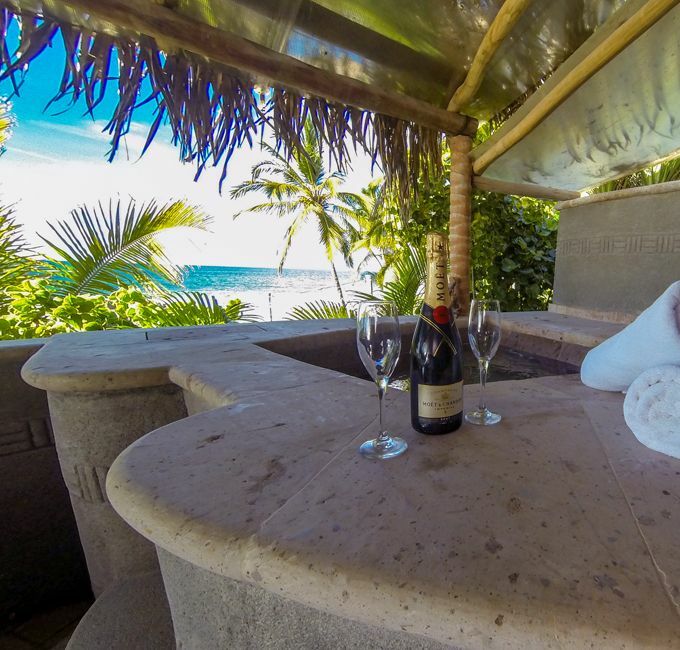 mix a cool drink at your bar then cuddle in an intimate jacuzzi while overlooking an immense Pacific Ocean on your own private deck. 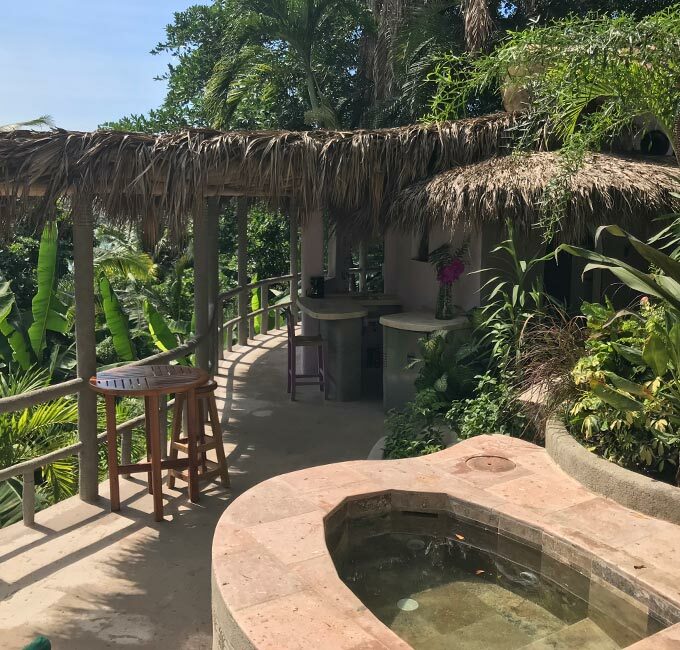 On the edge of fantasy, aloft in the seabirds flyway, overlooking an immense Pacific Ocean by day and a million-star canopy by night…a magical place to enjoy this super comfortable spa on the outside of Studio.